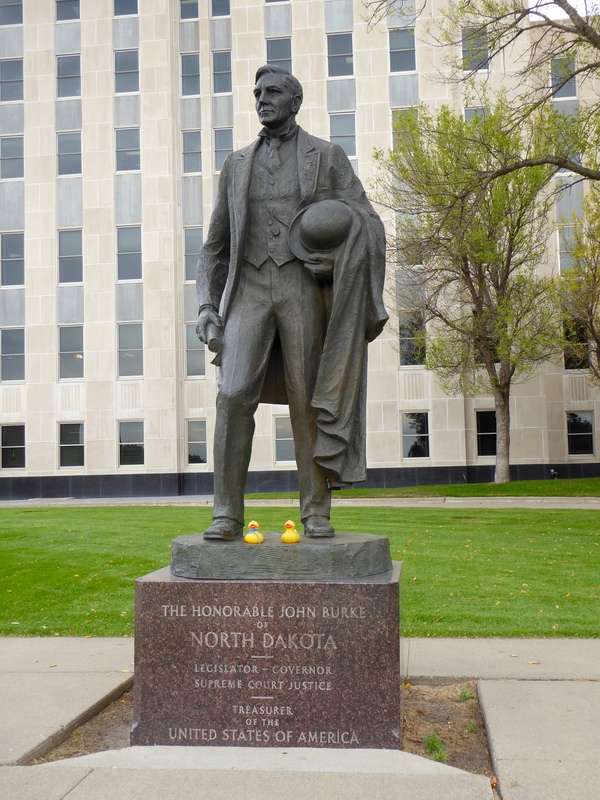 We, the Colorado Traveling Ducks, are in North Dakota. We are driving on I-94. Our first stop is Jamestown. 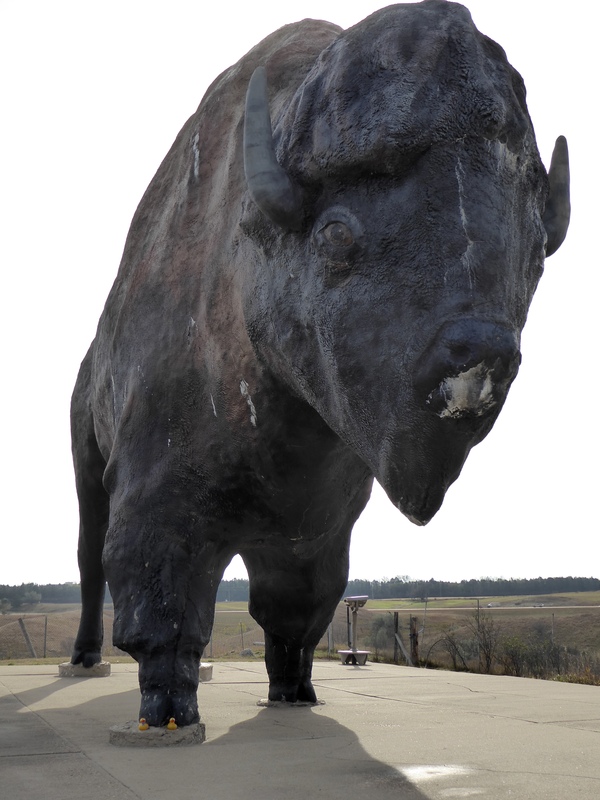 This is the World’s Largest Buffalo. 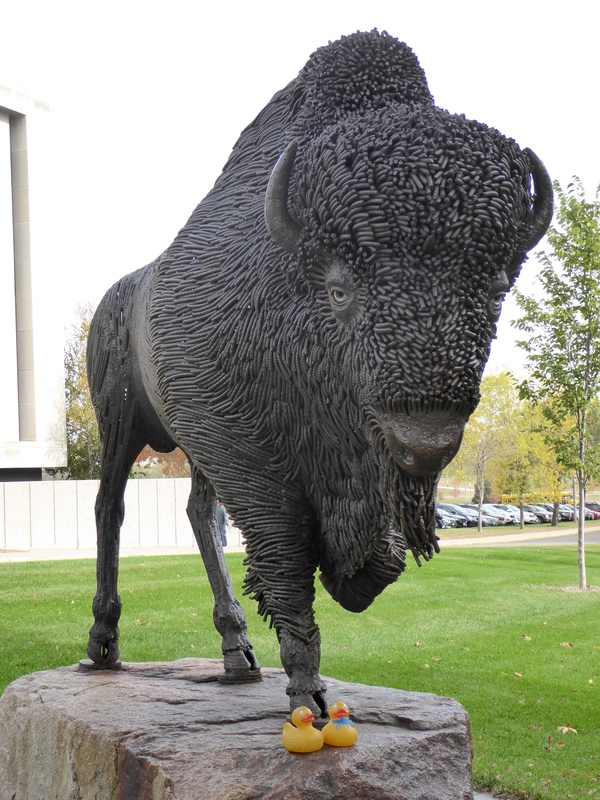 This buffalo is 26 feet tall, 46 feet long and weighs 60 tons. On July 24, 2010 he was named Dakota Thunder. We are on his foot. Dakota Thunder sure is big! 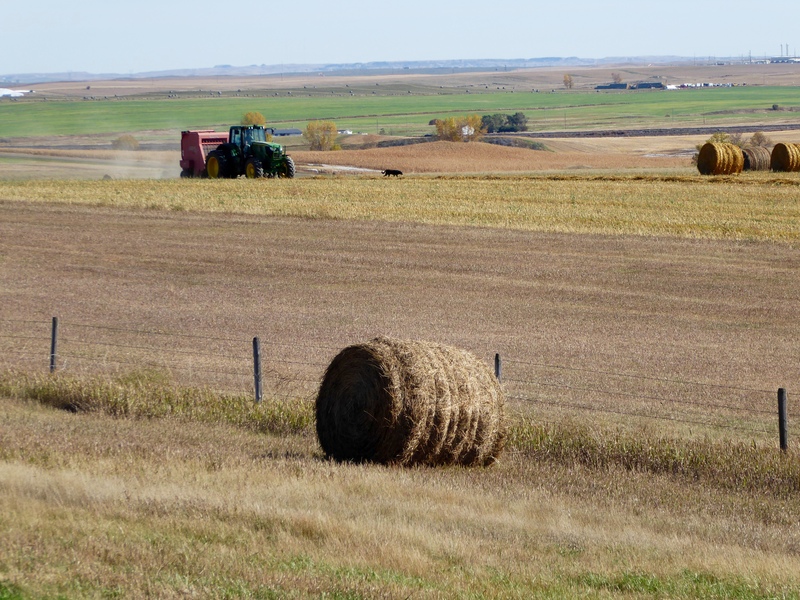 This farm in North Dakota looks harvested and ready for winter. Our next stop is Steele, North Dakota where we met Sandy. 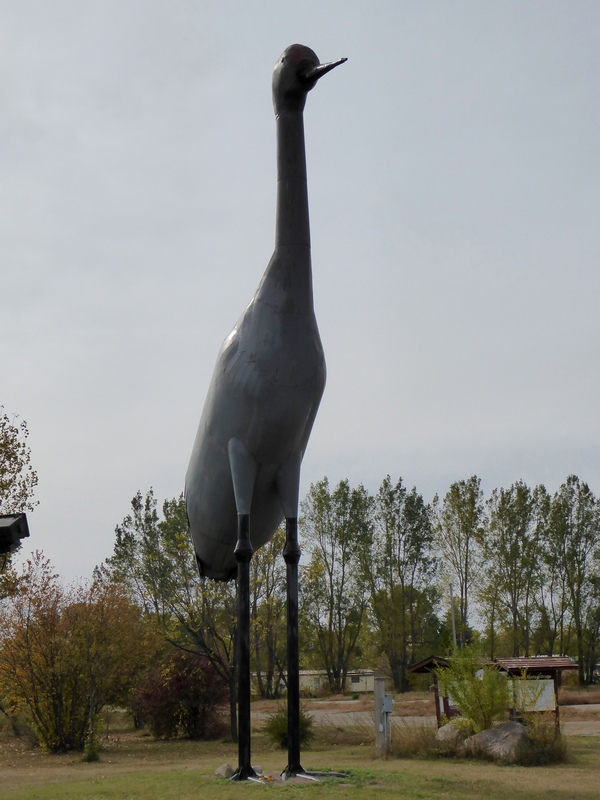 Sandy is the World’s Largest Sandhill Crane. Sandy is 40 feet tall and made of steel. We are on Sandy’s foot. Can you see us? The information at the kiosk says the crane is the oldest existing bird in the world. Cranes have remained unchanged for 2.5 million years. Sandy was made by James Miller. 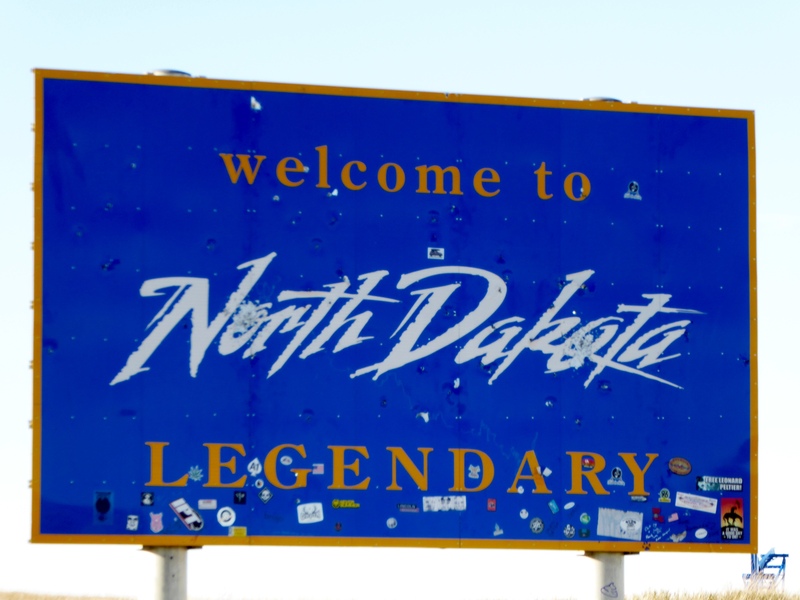 Our next stop is the capital of North Dakota. 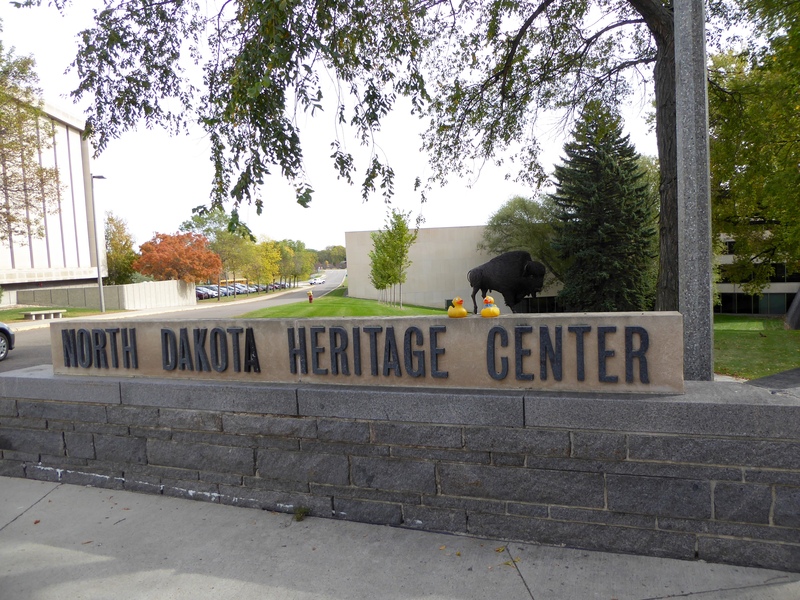 Bismarck is home to the North Dakota Heritage Center. 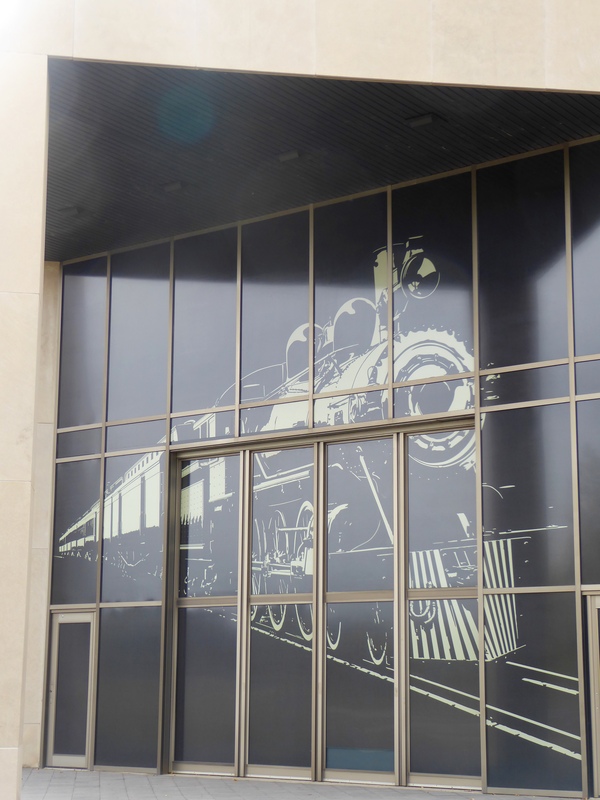 The building has great art. We like this train. This statue, a 12 foot tall bronze, was dedicated in 1910. 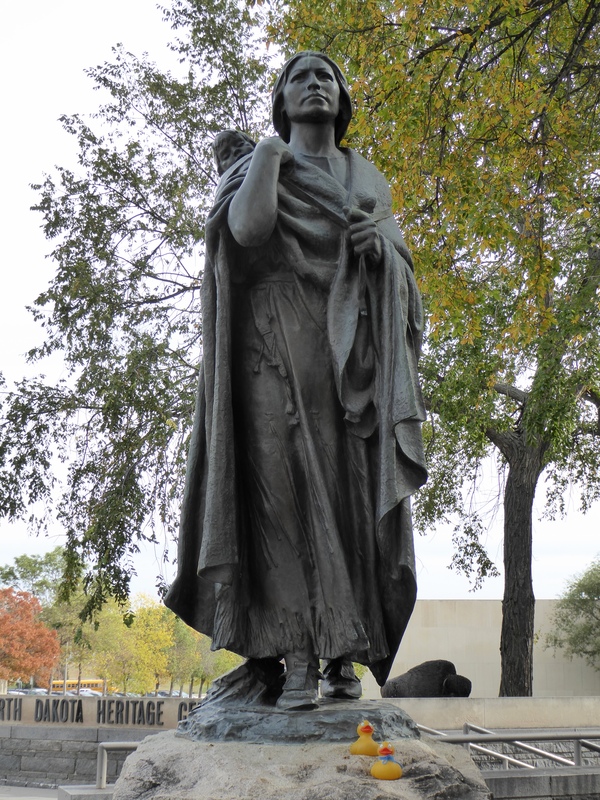 It honors Sakakawea, the Indian interpreter for Lewis and Clark. There are a few spellings of her name, but North Dakota uses this spelling. The statue was made by Leonard Crunelle. We like it! Nearby is this buffalo. The artist is Bennett Brien. The statue was given to the state in 1986. 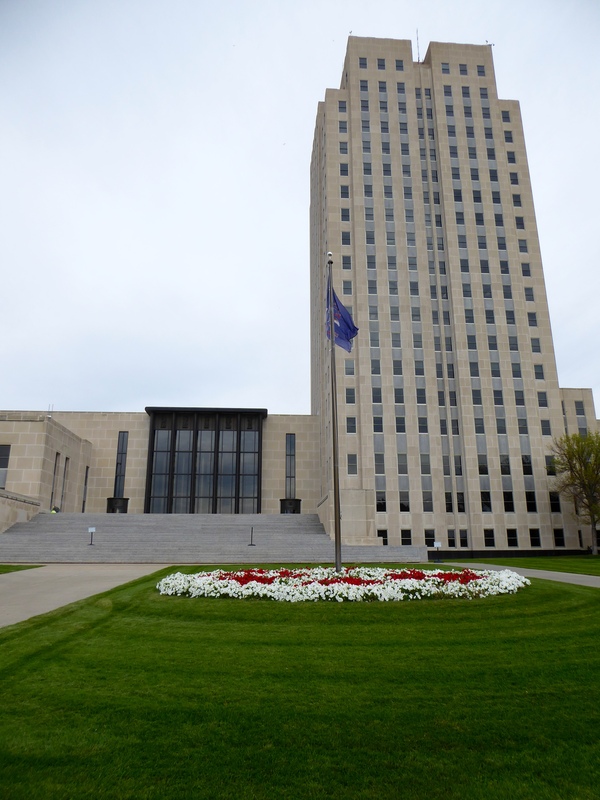 This is the capitol building in Bismarck, North Dakota. We like this different design for a capitol building. Close to the capitol we admired the statue of the Honorable John Burke. In North Dakota, he was a Legislator, a Governor, and a Supreme Court Justice. In 1913 he was appointed Treasurer of the United States of America by President Woodrow Wilson. 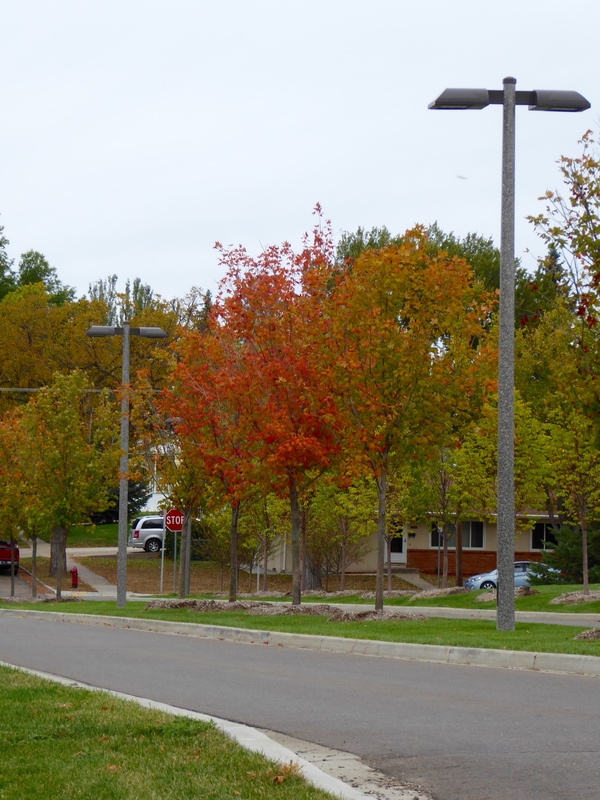 We enjoyed the autumn color on this tree in Bismarck, North Dakota. 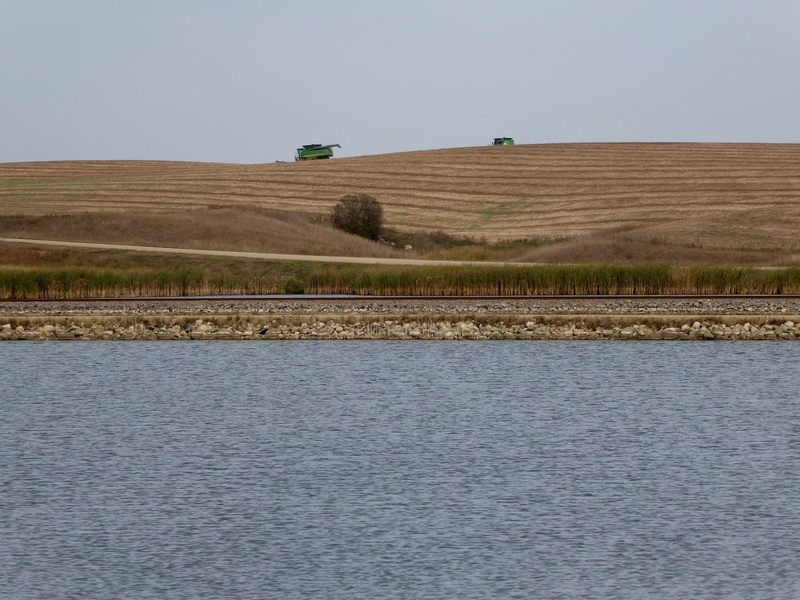 Here we can see that the work of the American farmer is never done. We think a well cared for farm is beautiful. 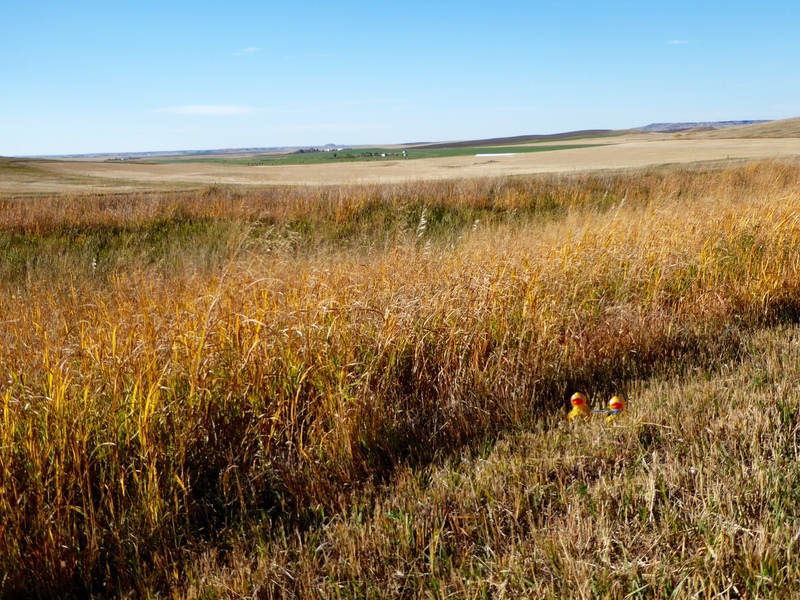 In southern North Dakota, we liked the golden wild grass by the road and the farm in the background. Zeb and Soapy by golden wild grass and a clear blue sky. North Dakota was a nice place to visit. We had wonderful sunny days, but we have heard that North Dakota has severe winters. We are glad we did not see that weather. We really enjoyed our time in North Dakota. We hope you visit during nice sunny weather also. 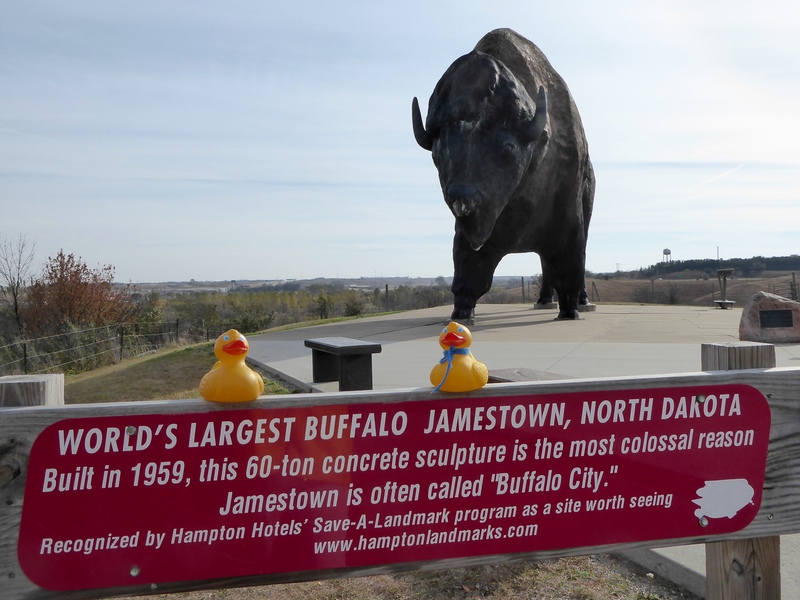 This entry was posted in North Dakota, Uncategorized and tagged Bismarck, Colorado Traveling Ducks, Honorable John Burke, Jamestown, North Dakota, Sakakawea, Steele, World's Largest Buffalo, World's Largest Sandhill Crane. Bookmark the permalink.